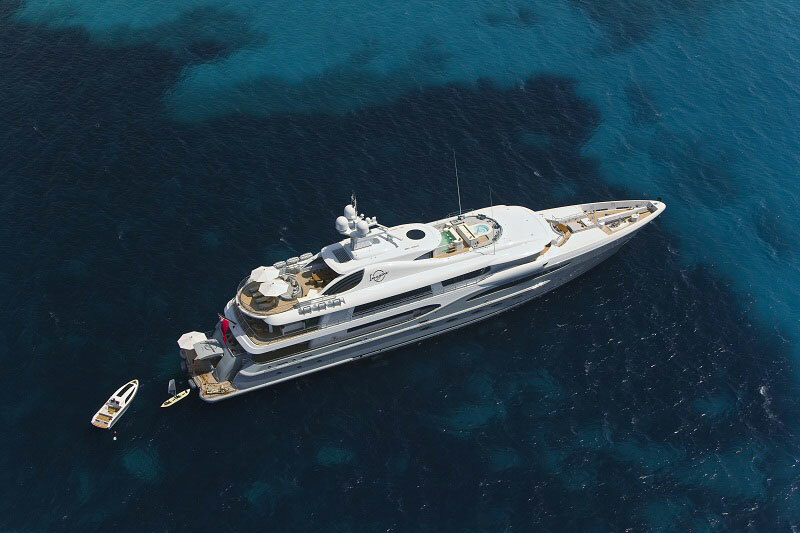 Imagine, 212 foot (65.5 metre) vessel, is the first and the largest Limited Editions Amels 212 Super yacht. 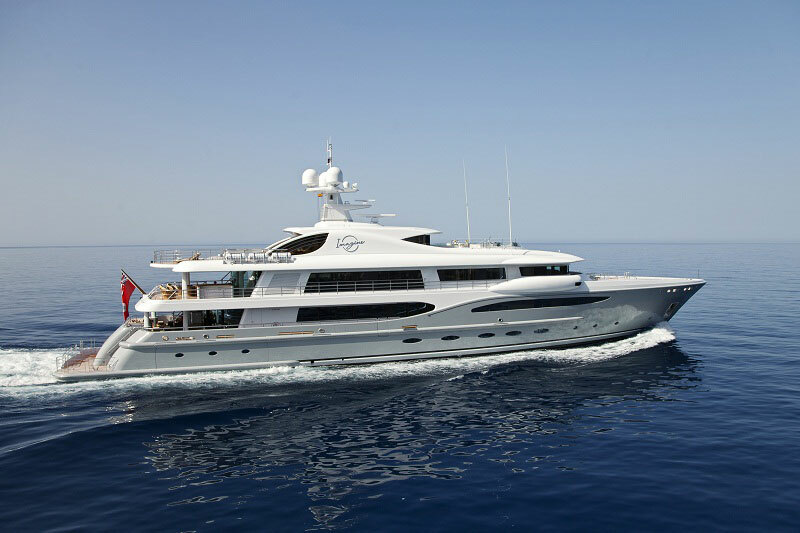 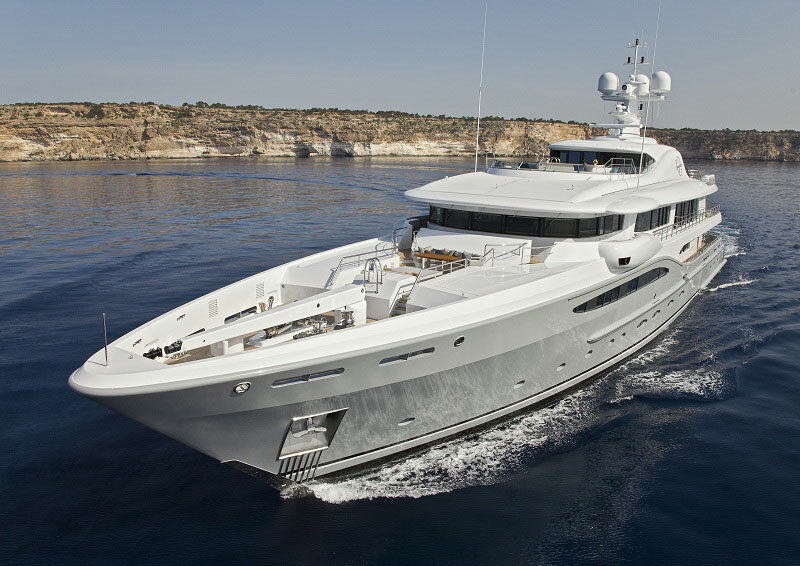 Designed by Tim Heywood (exterior), and Andrew Winch (interior), this luxury super yacht was launched in 2011 and built in Holland. 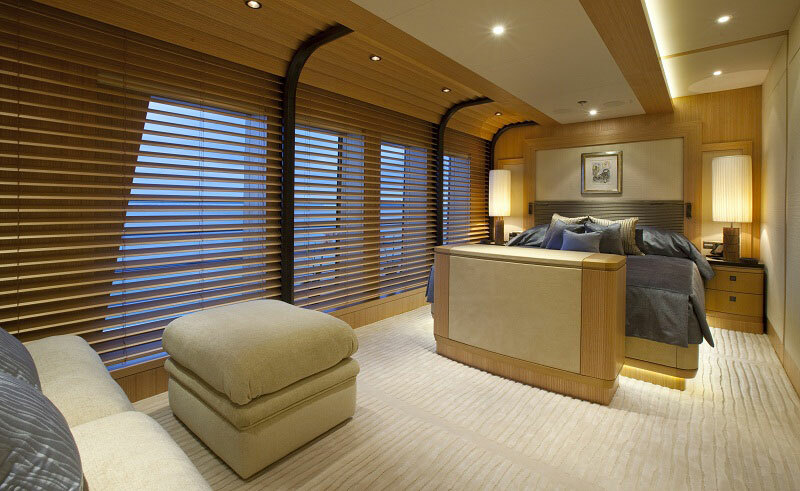 The second hull in the Limited Editions 212 series, is due for a 2012 launch. 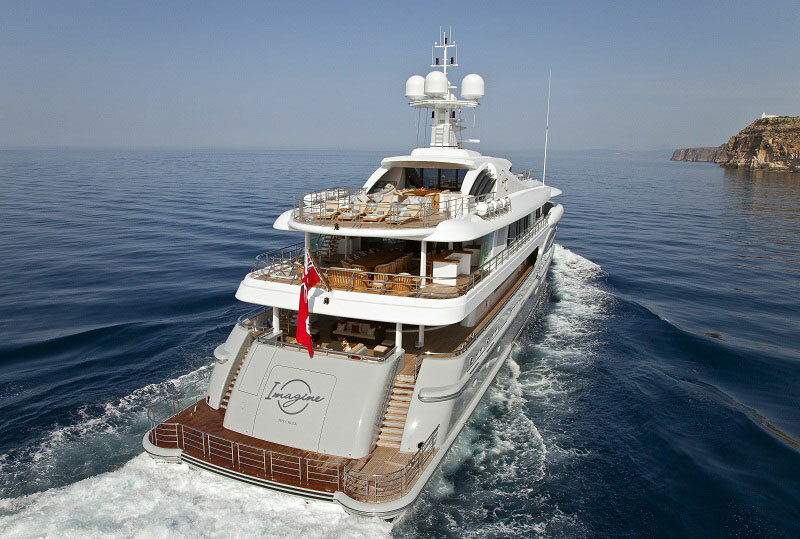 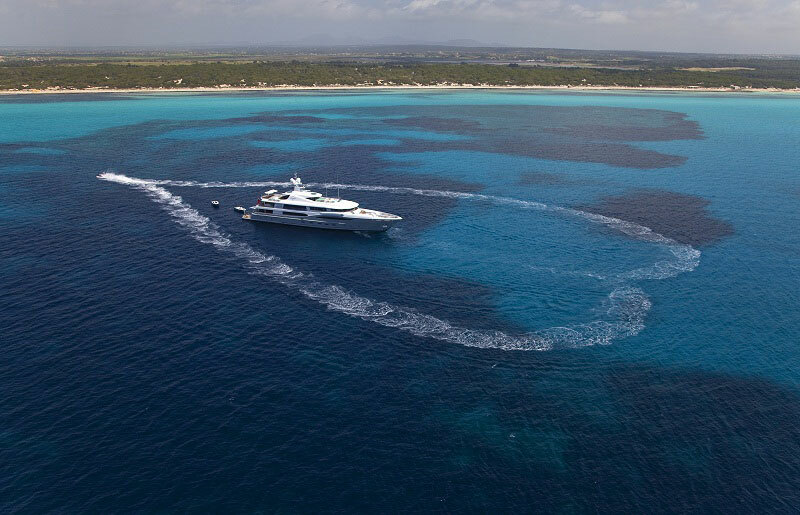 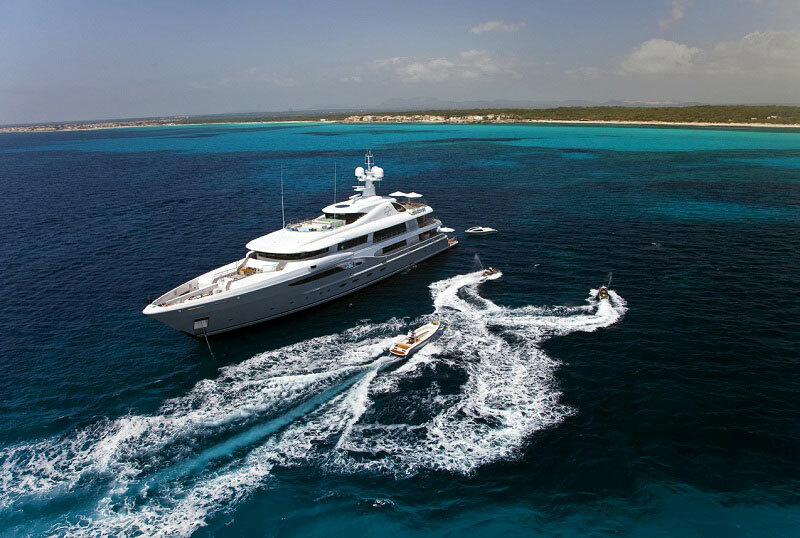 Yacht Imagine accommodates up to 14 guests in 7 cabins, although as a private yacht she is liceneced for 12 yacht charter guests sleeping. 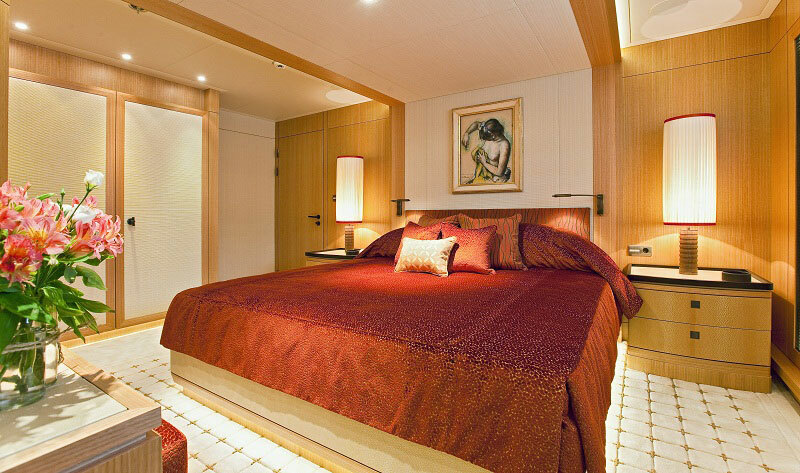 Her cabin configuration is 5 Doubles and 2 Twin cabins. 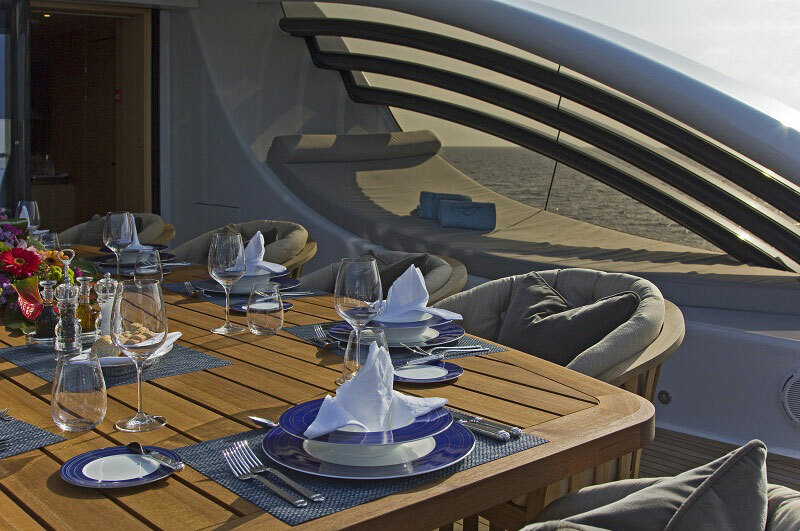 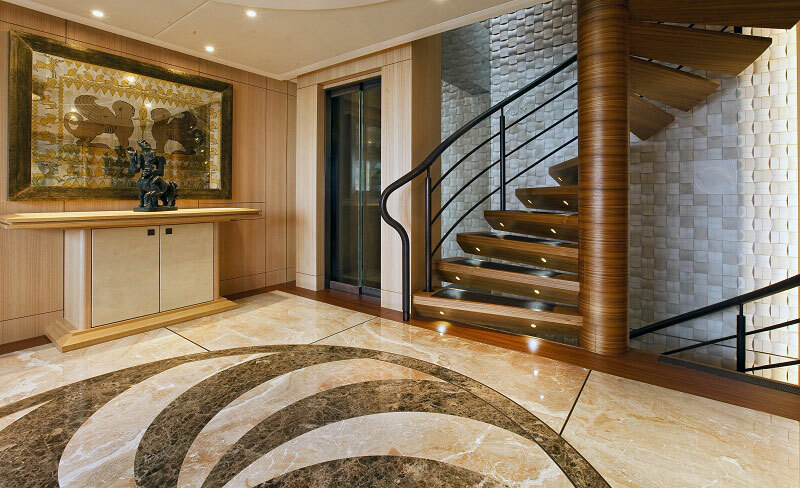 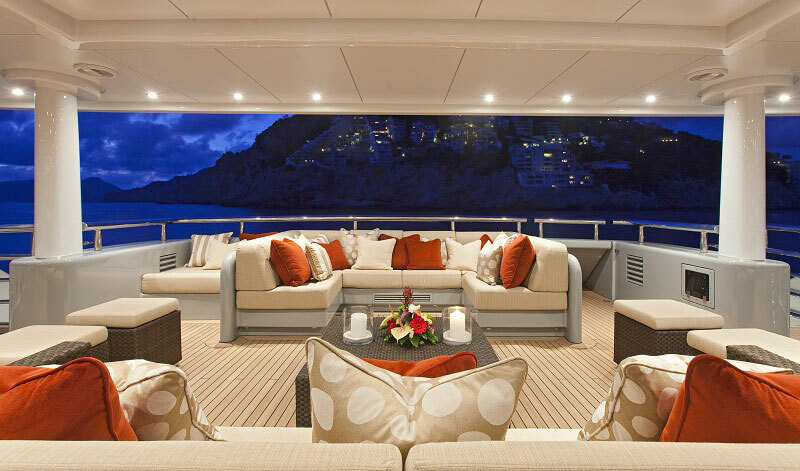 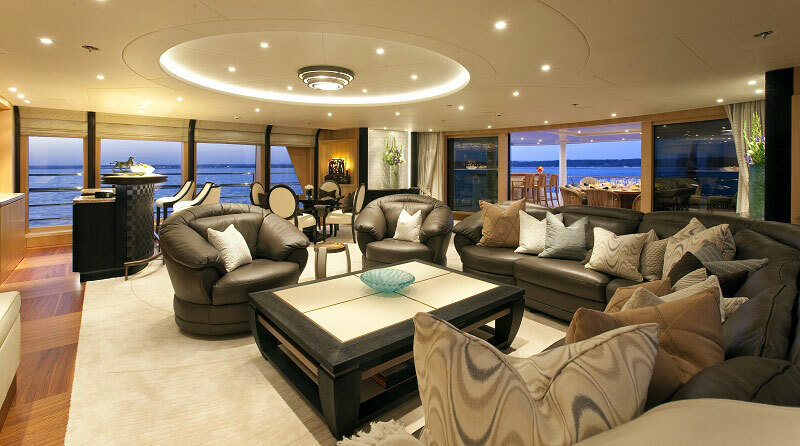 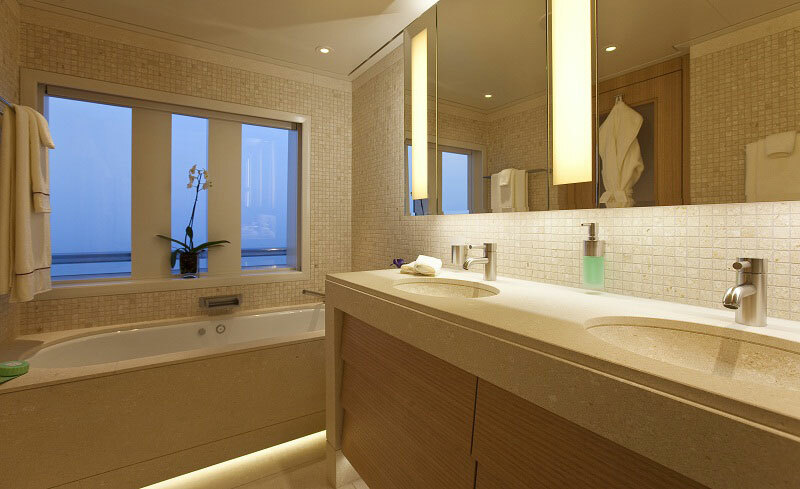 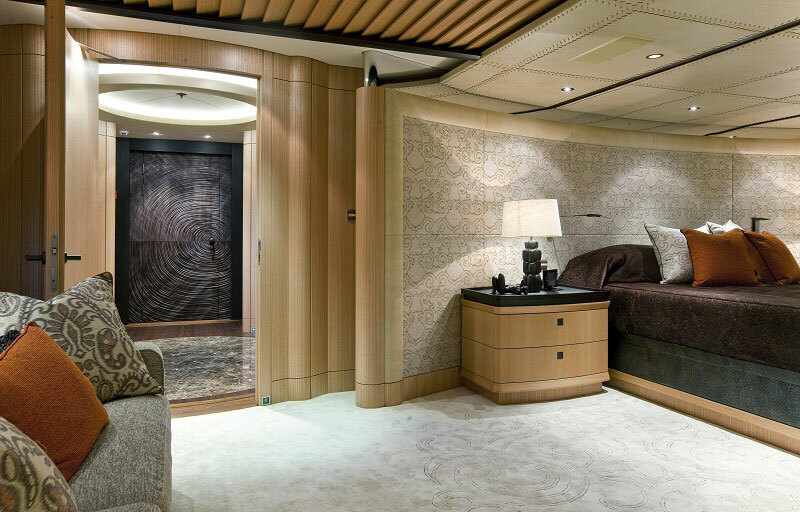 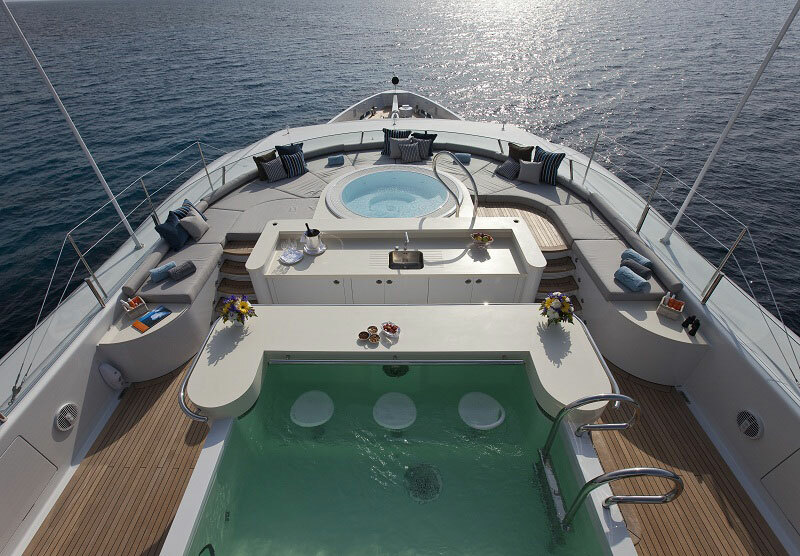 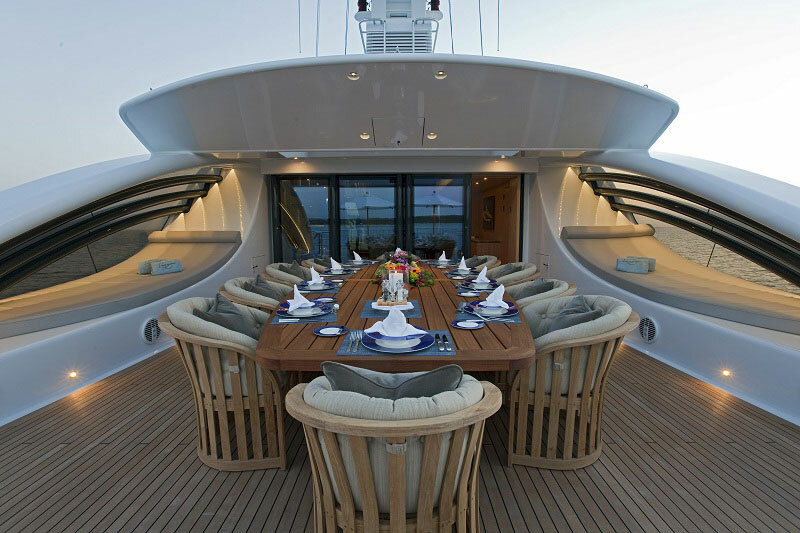 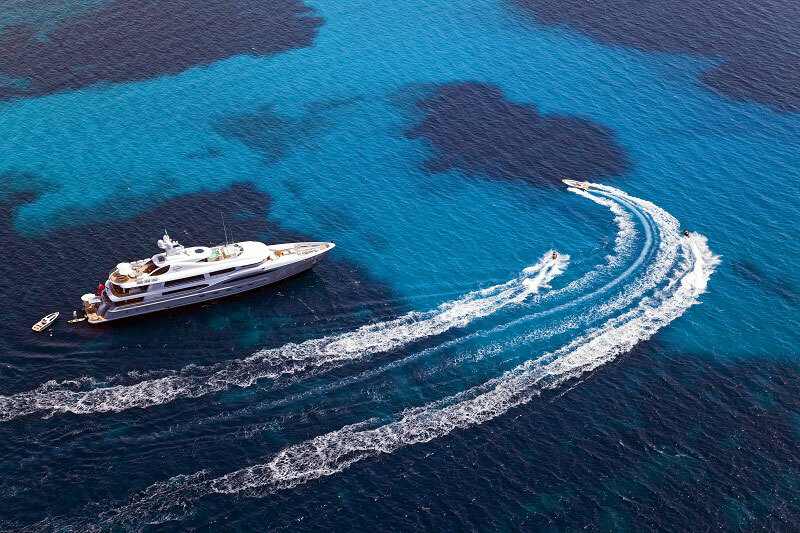 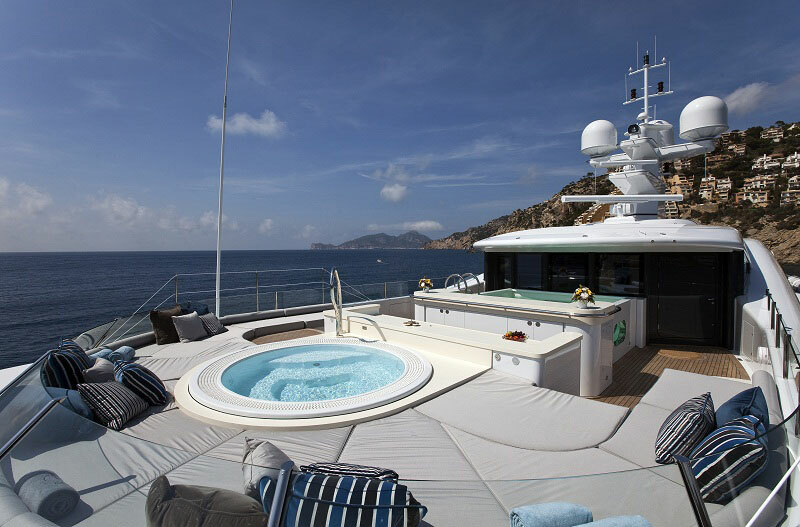 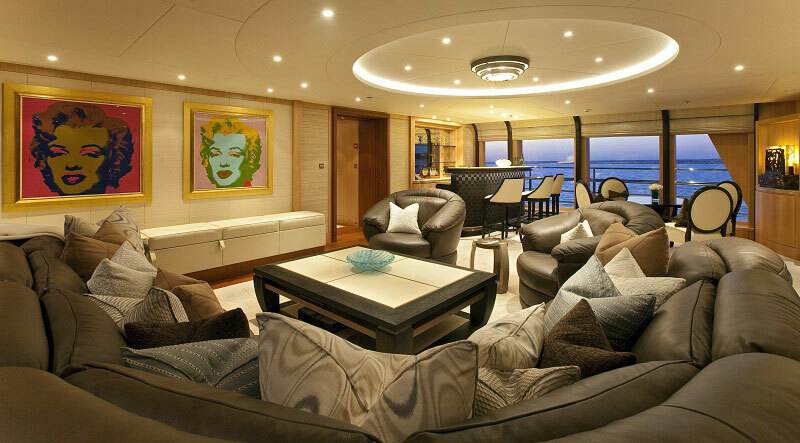 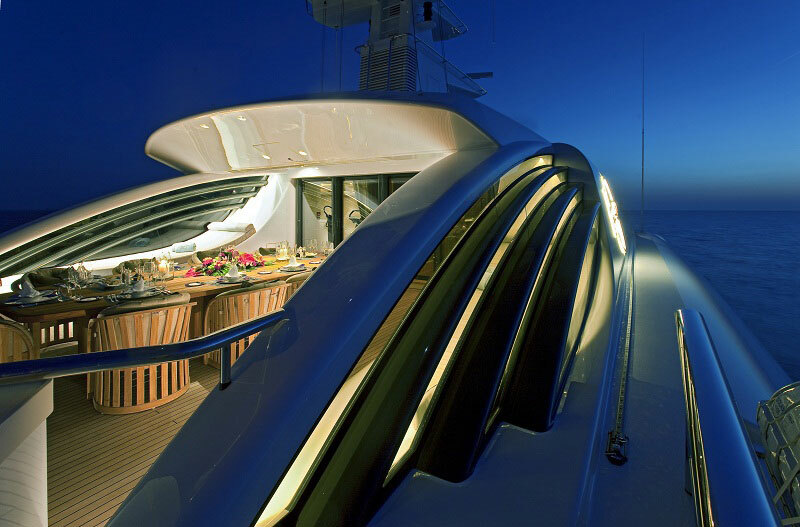 The Amels 212 motor yacht Imagine has a well thought out interior layout offering a lot of versatility. 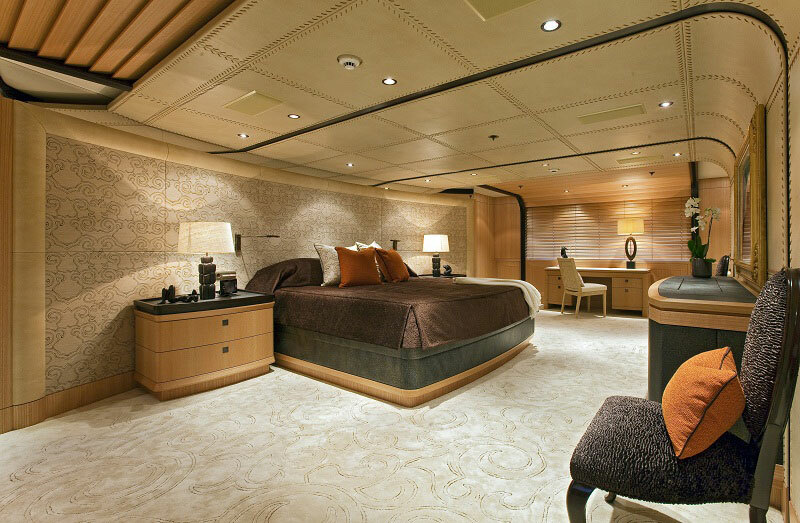 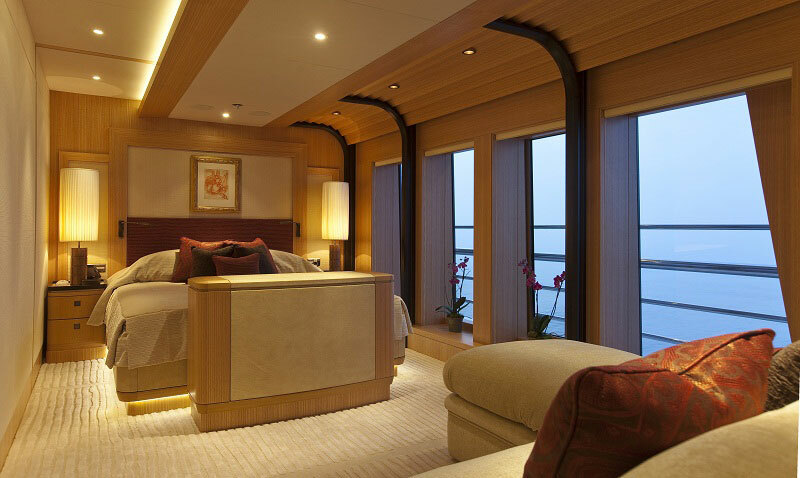 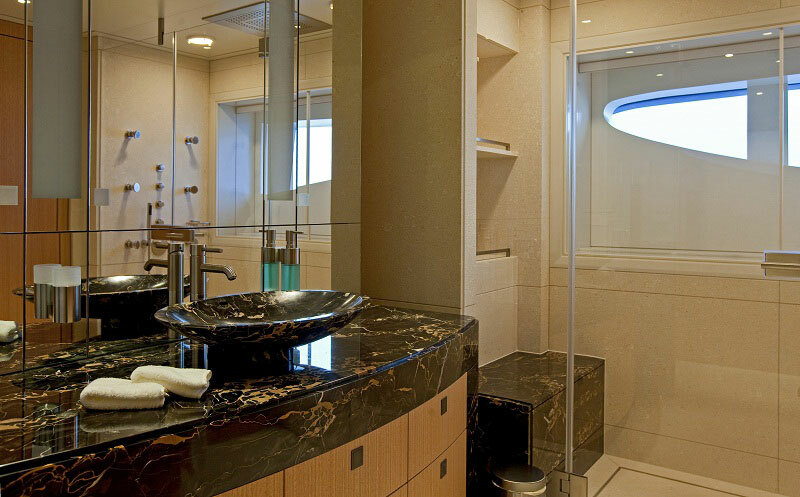 The Master suite is located on the main deck and there are two further 2 VIP staterooms on the upper deck, each with balconies. 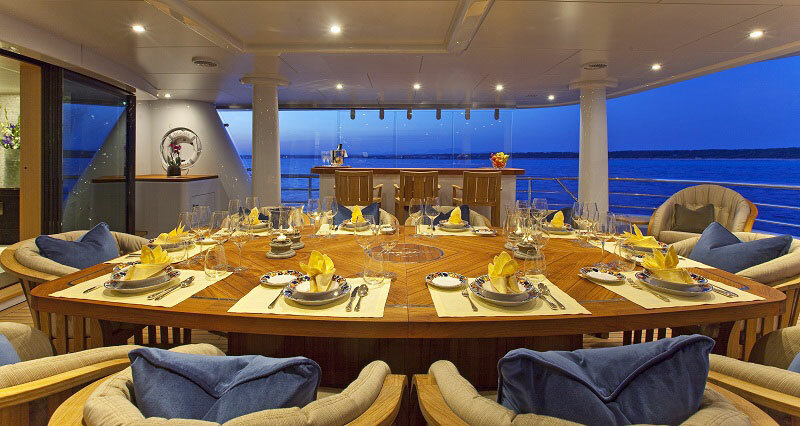 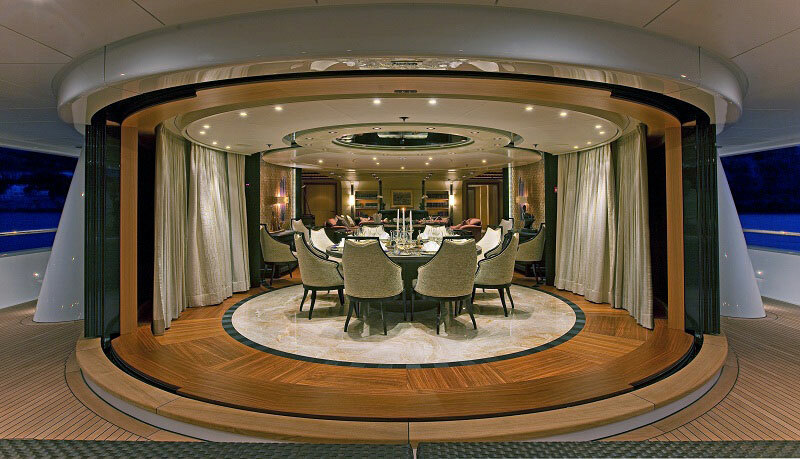 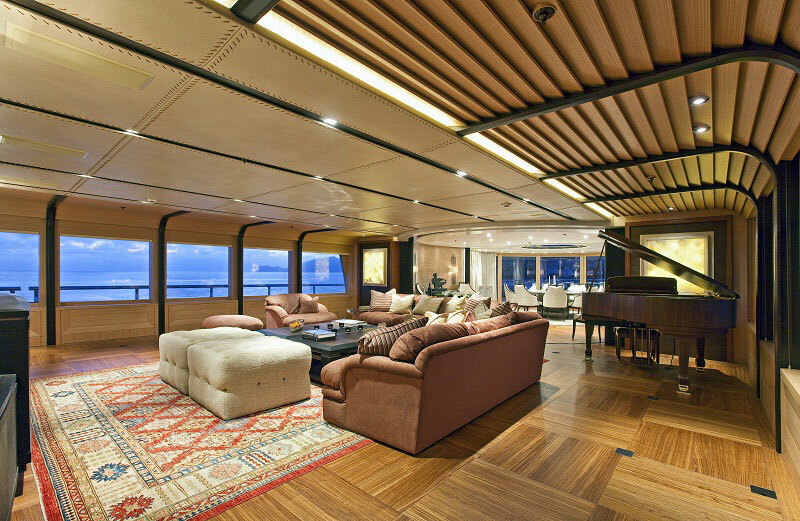 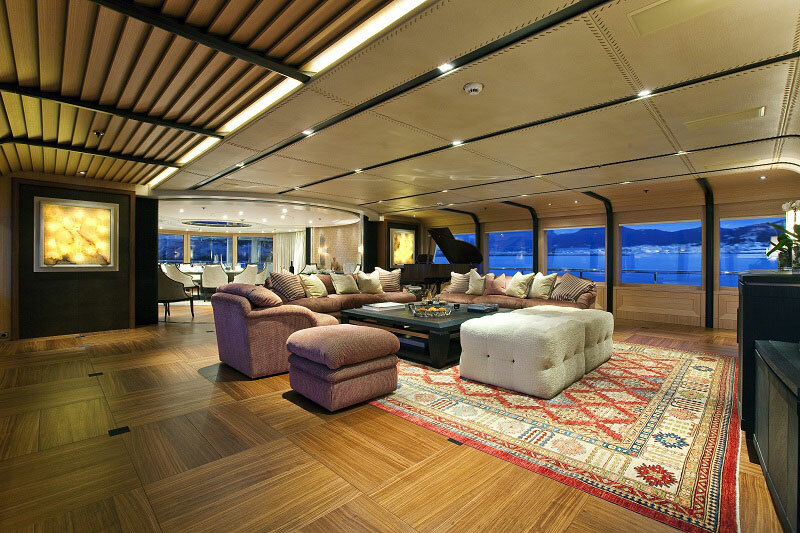 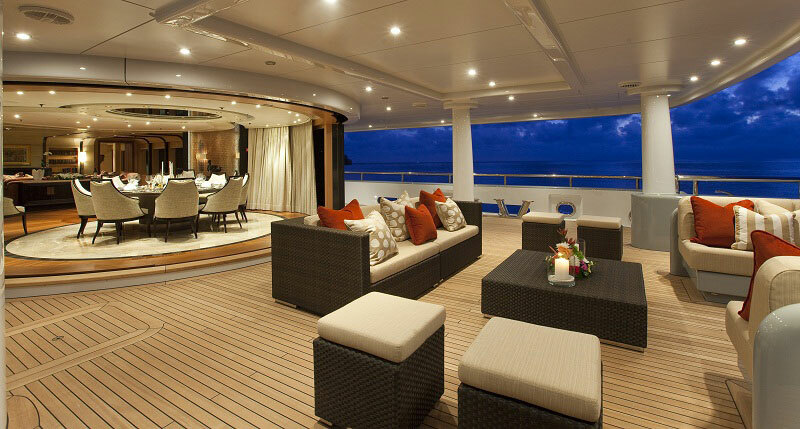 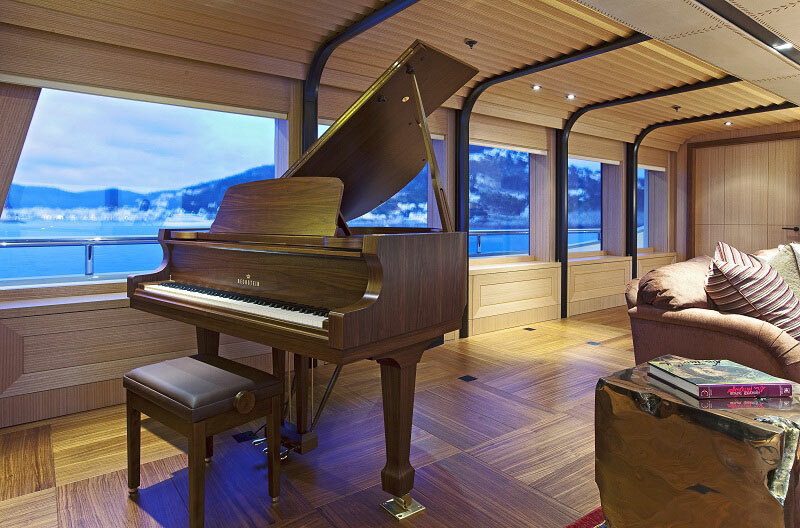 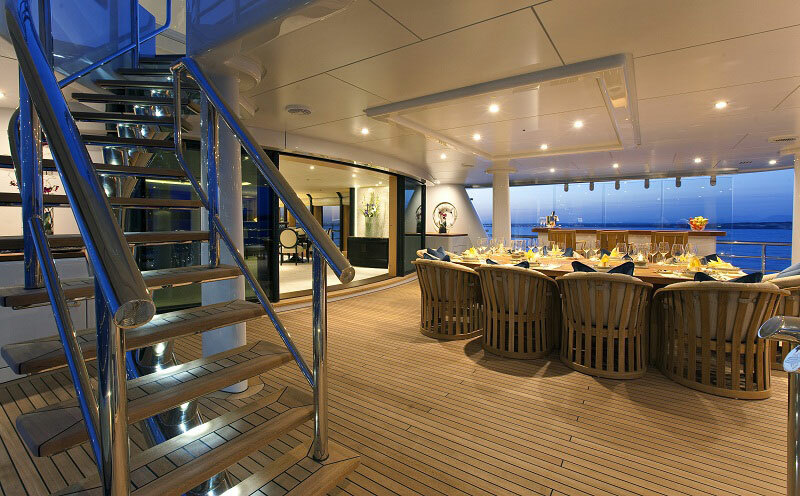 There are another 4 charter guests cabins on her lower deck.